Follow our 6 tips to have the best looking lawn on the block this summer! 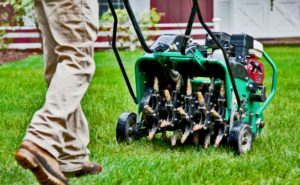 Aerate your lawn – Aerating your lawn in the spring is an essential step for having a great lawn this summer. Aerating your lawn allows essential nutrients and water to get down to the roots. Want to do it yourself? Check out this video to learn how! Don’t have time for a DIY? These businesses can give you a hand. Here at Sprinkler Master, we’ve spent over 10k Hours on sprinkler system installation and repair we are an expert sprinkler repair company. 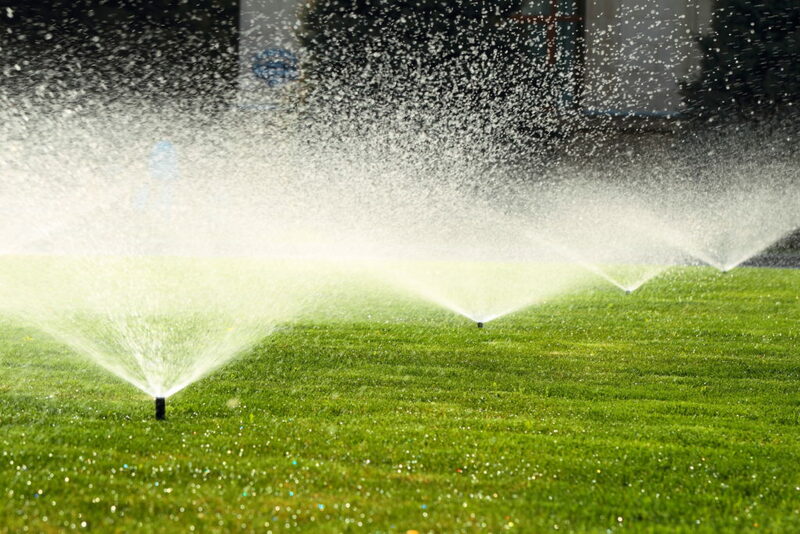 If you need a repair or installation, call the sprinkler repair experts! Because of this we can do it faster and better quality and have a lower overall bill than someone who is not a professional. For sprinkler repair get a hold of us in your location here. We use an 8 step process to make sure your sprinkler system is running right. Reseal all sprinkler plugs or drain valves. Open main stop and waste or main sprinkler valve slowly. Do visual inspections of the main line, valve manifold, and backflow unit. Make adjustments to the sprinkler valves by turning off the bleeder screws and adjusting the flow control to the proper setting for your system. Power up the sprinkler timer, then run through each zone to make sure it is getting power and turn the valve on correctly. Check to make sure that sprinklers are working correctly on all zones and make any minor adjustments. Garden sprinklers may need to be raised due to shrub or flower growth. Pop-up sprinkler heads may need to be transferred due to shrub or flower growth, landscape changes, fence or tree installations. Sprinkler lines, main or lateral lines, that are broken need to be repaired. Sprinkler electrical issues, such as a timer or valve solenoid problems, need to be resolved. Adjust the Sprinkler timer to the weather for the season and program it for how long it will run and what days/time of day it will come on. 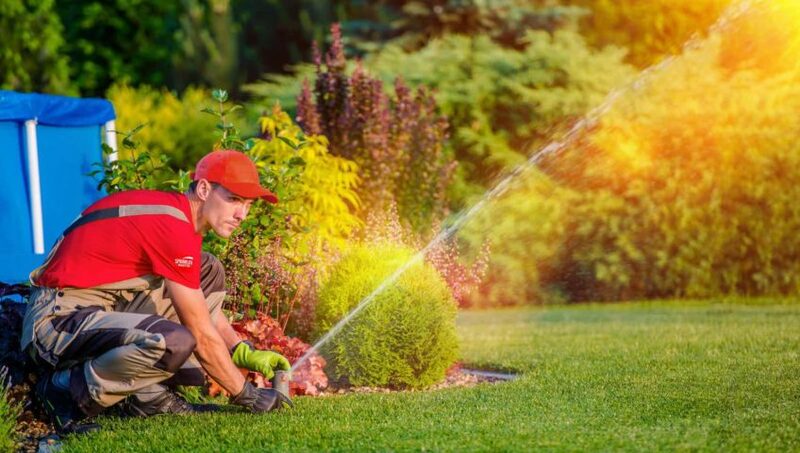 Sprinkler Master specializes in sprinkler repair for all types of systems and every type of lawn and/or garden. We strive for outstanding customer service through excellent communication and work quality. 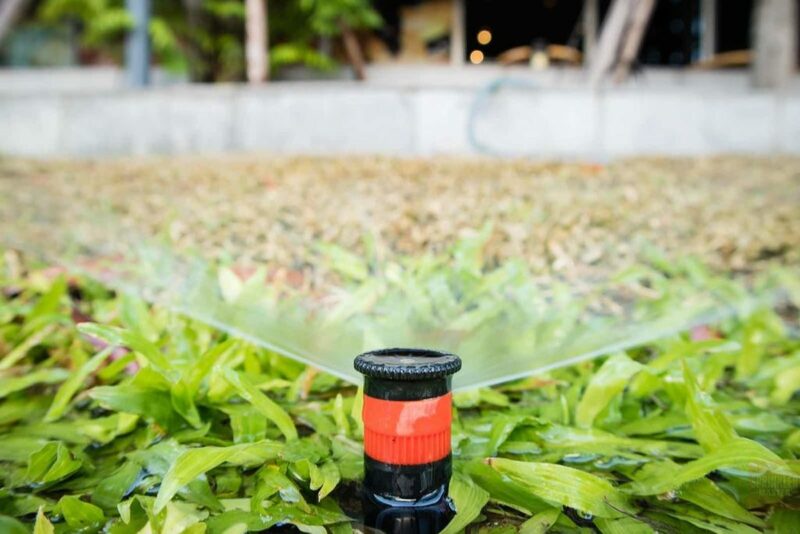 Our goal is to make sure that you are satisfied with your Sprinkler Master experience! The Ultimate Lawn Care Guide – A Monthly Breakdown of What to Do! The lawn is often the largest area of our garden, particularly if we have pets or kids, but although they take up the most space, we often give them the minimum amount of time and care. This is because grass is boring compared to tasty veggies and butterfly-covered flowers, but there’s nothing worse than a brown, bare, and unkempt lawn with scuffed bits that gradually goes yellow over the summer and turns into a mud-bath in the winter. Who wants to spend time on that? There’s no way around it, if you want a good looking lawn you’ve got to put in some time – but it’s not that bad because a few days each month can make a real difference. I’ve created a monthly guide to caring for your lawn, but because I’m busy and I know you are too, it’s not going to be labour intensive. I’ll give you the basics and then a bit more if you can fit it in. I promise sprucing up your lawn is worth the effort. A short green lawn is attractive and encourages the family outside. Make the most of your outdoor space this year by actually having a lawn worth treading on! Tis bleak out there in January. If you didn’t get that last cut in before the wet weather descended back in late autumn its likely your grass is rotting and looking muddy. Don’t walk over it unless absolutely necessary, and don’t cut it yet. You can brush off the leaves if it’s carpeted, but leave a few so the worms can drag them down into the soil and provide some great fertilization for free. Why not throw out a few seeds out for the frozen, bedraggled birds too – at least something will enjoy the lawn in January and they may hang around in springtime, nesting in your hedge and raising some baby birds. It’s still pretty cold. That wet lawn is now freezing but at least the white frosty covering is a change from the bare, wet mud. Again, try not to walk on it. This is a good month to start getting your tools ready because March is all systems go. We’ll be revving up those engines and groaning in unison as we kneel down to clip the edges. Keep your eyes peeled for signs of life this month such as catkins and tree blossoms because a sudden increase in warmth can boost the garden. If we get some warmth in February and the grass dries out, use a wide rake and start to loosen the moss and dead grass thatch in the lawn. This gives the living grass room to breathe, soak up the sun and drain properly. If it’s dry you can also use an aerator now. It’s possible to buy rollers with spikes (wear proper, tough shoes please) or simply use your garden fork to prick holes in the grass and let in air. This stimulates roots and lets nutrients soak through. This is when the work starts. The arrival of spring and the drier, warmer weather means your grass will start to grow. If you haven’t already done so rake it over to remove the dead bits and aerate. The first cut should be done in March, but not too short. If you can, adjust your mower blades. Put them on the highest setting and just take the grass tops off or it may go brown or yellow. A maximum of two cuts are usually needed in March, let’s take it steady to begin with. If you can tidy up the edges, it’ll save a bigger job later on. Now is a good time to feed your lawn. Choose a quality feed and follow the packet instructions because too much will kill the grass. Feeding your lawn increases its vigour and toughness, and helps prevent weeds or moss from getting establishing. Do you have weeds and bare patches? March is a good time sort those out too. Dig away any weeds or rough, course grass and put down some new grass seed. Read the sowing instructions – you’ll need less seed than you think! A reasonable amount is 15g for a square metre. Only mow it when it’s gained a good amount of growth and only use the highest blade setting. If you have problems with cats or birds you’ll need to use some netting. If you do, keep an eye out for wildlife, particularly hedgehogs, who will snuffle through that freshly dug earth for worms and may get their hapless prickles in the net. Check daily, every morning. Re-seeding your lawn is the cheapest way to patch it up, but it’s time consuming. If you can’t wait buy some turf. Buy turf first thing in the morning as some garden centres have a tendency to leave turf rolls in baking sun. Lay it straight away on forked and raked soil. Tread it down and water every day for a week. We should be blessed with some warm sun in April, so keep your grass under control – don’t let a meadow appear. In a beautifully warm April it might need mowing once a week, but usually every 14 days is sufficient. It’s time to lower the blades too. If you didn’t feed or re-seed the lawn last month do so now. It makes a big difference particularly if a hot summer is the horizon. By April you’ll be able to see if you have moss. There are several types of moss and they all crowd out your grass giving it an uneven colour. Mossy lawns feel springy to walk on. I will confess I quite like a mossy lawn because it cuts down on watering, but it’s not very durable and doesn’t look as good as well kept grass does. Deal with moss by raking the lawn frequently. This may pull out all of your ‘lawn’ but you can re-seed on clear soil to create a brand new lawn in no time. Removing moss improves the drainage and vigour of the remaining grass too. You can use moss killer if you don’t fancy all that hard work. Follow the instructions carefully and keep your kids and pets away from treated areas. Mowing is a weekly job now, some say twice a week, but we don’t have time for that. Raking before you mow makes a big difference to the quality of your grass, if you can fit it in, do so especially around clover or weed strewn areas. Don’t forget the edges as this makes the whole effort look pulled together, in fact if the in-laws are dropping by and you don’t have time for the whole lawn, just do the edges for a more polished look. Pick up the grass clippings and flick soil back onto the border. No-one will ever know. June is the time to feed your lawn again if it’s still looking sorry for itself. You should leave two months between lawn feeds to avoid killing the grass with too much nitrate. Keep up that weekly mowing. It’s a boring job for sure, but you can make it quicker and less dismal with a decent lawnmower and long handled-edging shears. You may need to water your grass if it’s been baking hot, especially any newly planted bits. Use enough water so that it soaks into the soil. Water running off the dry soil is of no use and tends to teach your grass that shallow surface roots are the best, when in fact you need long reaching roots that can find their own moisture. Take a deckchair outside at least once a week to admire your lawn. This is essential work. There’s no point putting in effort if you’re not going to appreciate the results. This job could take all morning if you do it properly. Keep mowing, watering and aerating. If it’s really hot you should lift the mower blades to keep some length on the grass as this avoids soil-scorch and brown patches. Mow once a week during August. As a general rule, you should pick up the grass clippings each time you mow but if it’s really hot and the ground is baked, leave the clippings down to help retain moisture. If you have a lot, place the clippings around any plants that are struggling too. Brown patches may start to appear in August and that means watering is essential. 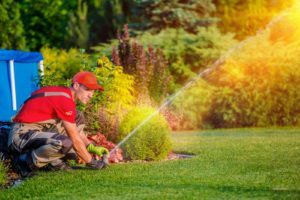 The best time to water anything is during the early morning or evening before the sun gets too hot and evaporates the water. Leave off frequent mowing if it hasn’t rained in a while as longer grass preserves moisture. If cracks appear in the earth fill them with a mixture of sharp sand and soil. Towards the end of September begin to decrease mowing as grass needs some length to protect it from the colder weather that’s looming. Raise the blades if you can and cut weekly, or if you have immovable blades cut back to every fortnight. It time to start raking out the thatch again, aerate and fill any cracks with soil and sharp sand. If you have bare patches of lawn October is another good time to sow seeds. If you are thinking about springtime, try planting bulbs in the lawn such as mini daffodils. They look great in early February when they push up out of the soil and provide some much needed colour. Mow around them and when they’ve finished mow over them. Experts say you should let the leaves die and mulch on their own, but I mow mine over each year after the flowers have faded and they always come back for more – try and see, they are cheap enough. You may get in a few mows before the snow starts. Its best not to let your grass get too long as it’ll rot in the winter. Keep an eye on the forecast so you can cut the grass on a dry day. Brush in the worm casts and rake up leaves if there’s an excess. There’s not much to do now, but try to keep excessive leaves from the grass and don’t walk on it regularly. 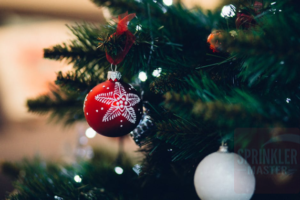 December is a good time to clean your tools, change or sharpen lawn mower blades and oil down any shears, edging tools or clippers. What on earth does scarify mean? Nothing to do with frightening people, but a term that means raking out the moss, dead grass and debris entangled in your grass. If you spot it peeing on the grass pour some water over the urine spot. This can help prevent yellow patches. If your border edges are looking slack take a spade, cut out a square and then turn it around. The ragged edge quickly backfills and you’ll have a sharp edge to your border. Tread it in and water. Just like magic! Faced with a shelf of different grass seeds, you may whimper ‘I just want some seeds’, but there is method here. High traffic areas need a hardwearing mix with some ryegrass, if you’ve a shady lawn look for a shade tolerant mix. If you walk over your grass occasionally and there’s sunshine and shade, pretty much anything will do. It’s a good idea to choose grass seed mix that has at least two types of seed involved. Weird little volcanoes in the lawn, particularly if it’s sandy or chalky, means mining bees. Lucky you. Don’t block them up – we need all the bees we can get. Just keep your shoes on and tell your children not to poke the holes with a stick. This is most likely an anthill. Brush it away and make the soil wet, but don’t use boiling water because that causes unnecessary suffering. Ants are intelligent creatures just trying to get on with life. They don’t like wet conditions though, so just make the nest damp every day and they’ll get the message to move on. Are most likely molehills. I have molehills and l love them. They’re sculptures that show life carries on beneath our feet. If you don’t like molehills brush them flat. Lots of moles can be discouraged with a sonic device. It’s worm poo, but not poo as we know it. Worms eat vegetation and it passes through their digestive systems. Basically worm casts are highly effective fertilisers so brush them back into the grass and carry on as usual. Ooo laa lawn – If you want to jazz up your lawn plant some herbs in it. You can whizz over these with the lawn mower and it creates an amazing scent. Creeping red thyme is my favourite. I have little pockets of it in the lawn and in patio cracks. Don’t plant mint in your garden though, because it’s a rampant warlord and you’ll never be rid of it. If you like mint put some in a pot so its roots are contained. If you have space think about leaving an area of uncut grass for our wildlife. Studies show that wildlife thrives in longer grass and those dandelions are an essential source of nectar for our pollinators. Long grass also makes the perfect hideaway for beetles, slugs and snails that our frogs, toads and hedgehogs. Pop a shallow, heavy bowl of water in the longer grass to create a mini eco-system. It’ll be less work and the satisfaction of seeing our native wildlife in your garden is something special. Lawns are hard work, but they can be managed with little and often. You are more likely to use your garden if it looks appealing, so show that lawn some love, crack out the BBQ and have a picnic outside on your well-kept but practical green grass. Sprinkler Master wishes you a very merry Christmas! 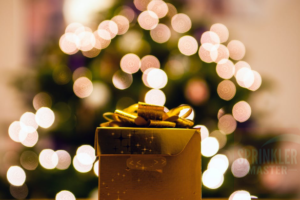 Here are a few of our favorite Christmas facts!